Hertfordshire photographer specialising in newborn, baby, maternity, cake smash & family photography. Natural photography, capturing your baby just as they are. 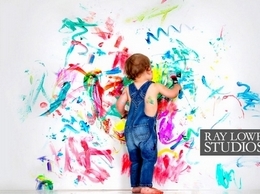 Hemel Hempstead based studio, close to St Albans, Berkhamsted & Harpenden. Hemel Hempstead studio which is easily accessible from St. Albans, Harpenden, Berkhamsted & Watford. We are a family-run independent studio with over 38 years of experience in portrait and wedding photography. We also specialise in family, baby bump, and pet photography done in a contemporary style. Visit our website today to view our extensive gallery. 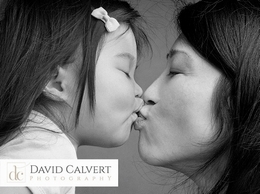 David Calvert is an international award winning photographer specialising in high quality family portraiture and publicity headshots. Katrina is a documentary wedding photographer based in Hertfordshire. She loves working with natural light to creates beautifully soft images that keeps your wedding day uncomplicated and relaxed. Experienced hotel, resort and architectural photographer with over 12 years experienced with luxury hotels and resorts around the world. Robin Edwards director and head photographer at Imago, has been photographing individuals, families, newborns, children and pets for the last 21 years. At Imago as a team we also provide bespoke picture framing, fine art copying, giclee printing. Berkhamsted Family Photographer, specialising in fun and relaxed family photography. Outdoor Photoshoots in the Ashridge Estate available. Mobile portrait studio - we come to you at home, your business, or on location, at a time to suit you. Headshots, commercial product photography, event photos, family portraits, photo shoot parties. Contact us today for further information. The Art You Love. Putting a creative focus on your wedding, bar mitzvah, party, or portrait session. 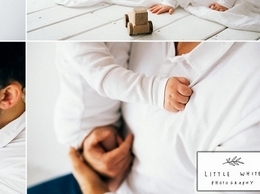 We are the family photographers with innovative products and services which will inspire you. Freelance Photographer in Rickmansworth, Watford and surrounding areas. Affordable prices and packages. Refer a friend and get 25% off any package price! The best choice wedding photographer in Hertfordshire and Essex capturing your special day in creative detail. Professional Wedding and fashion photographer providing creative documentary wedding photography in Hertfordshire and The Home Counties. I am based in Hertfordshire and have photographed projects ranging from alpine skiers to Christian Dior models. Hertfordshire, Essex and pretty much all over Europe. BIPP Qualified professional Essex and Hertfordshire photographer providing wedding photography Essex, Hertfordshire and the UK. Professional photographer in Hertfordshire. Very experienced, fully insured, CRB checked and highly published.